As I continue my Blockchain Spotlight series, I find that the world still hasn’t found the killer app that the typical consumer will understand and enjoy, but in this column, I think we’ve come very close. In late January 2018, I attended the Crypto Funding Summit conference and was impressed with a few companies there, one of which was Ponder. 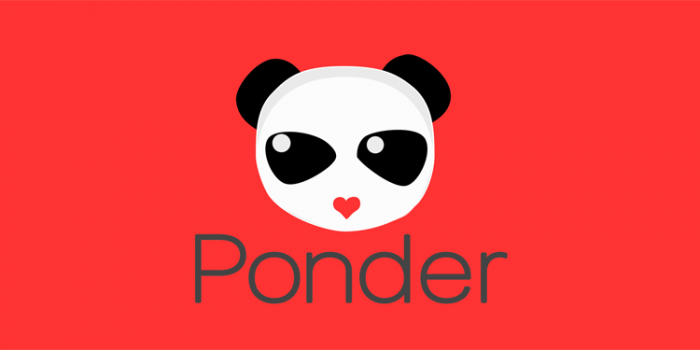 Ponder is a decentralized matchmaking platform that already exists outside the blockchain with over 70,000 members. 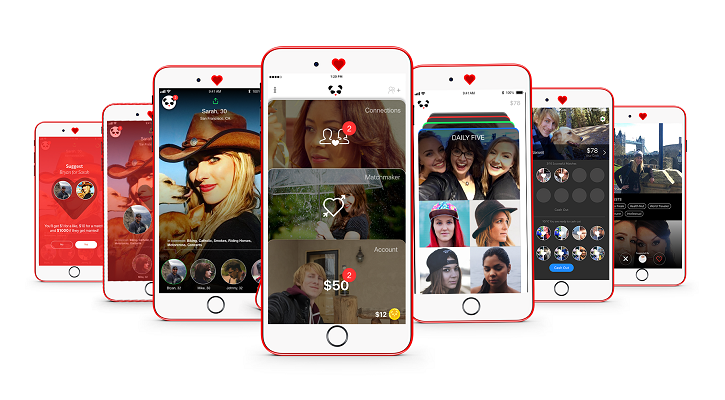 Their system isn’t a dating site per se, it is a game for playing matchmaker. For every match you make of people (you connect them to each other, and they mutually ‘like’ each other), you win $10. If they go on to get married, you will win $1,000. The financial aspect is managed within the system as “Ponder Dollars”. The focus is on human interaction and human referrals – the matchmaking for dating is just one implementation of it. The move to blockchain will be the Ponder Gold token which will be launched in parallel to the existing fiat-based Ponder Dollars. Ponder Gold tokens provide advantages for holders in the core matchmaking game. These people will be directed to the most successful Matchmakers in the game, thus improving their chances of a successful match. Matchmakers who hold the Gold token will be presented with the most active singles, thus increasing their odds that their matches will get accepted by the players and improve everyone's chance of earning more Ponder Dollars. I wonder, however, about the active singles as it would indicate a serial dater who isn’t necessarily going to be getting married anytime soon, but that’s another story. 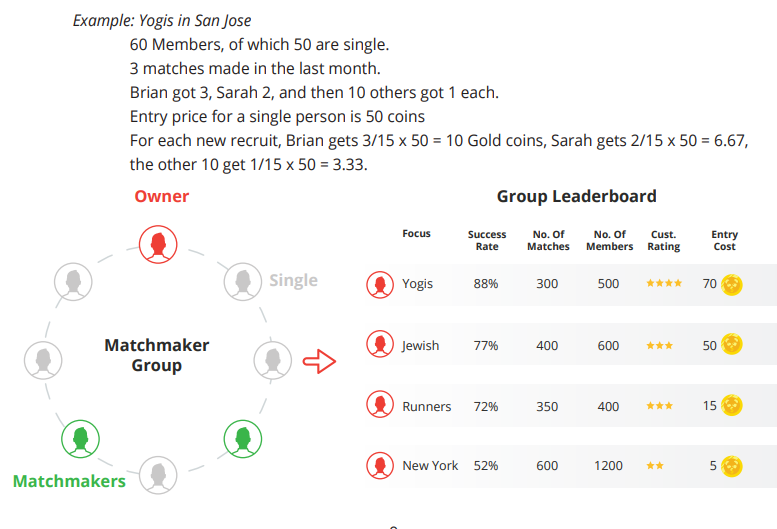 When a user joins, it is either as a Single or a Matchmaker, but singles can also play as matchmakers. You get $20 Ponder Dollars for free when you sign up. After you have made 10 matches, you can cash out to real dollars at a 1:1 conversion rate. The performance of a Matchmaker is based on their match rate, which is the percent of the suggestions that lead to a match and the number of matches created. Matchmaker levels range from 1 to 10 based on the quantity and quality. Each new level provides new rewards and abilities within the game to make the whole experience more interesting. I was pleased to see that Ponder requires all users to pass through the Civic secure identity management platform before holding the Ponder token. The online dating community is flooded with scammers and fake profiles. Having a cost to enter and the verification of identity makes a powerful disincentive for scammers to try and make fake profiles. Saving that validation on the blockchain will increase trust and improve security within their app ecosystem. In addition, each user’s activity in the app will generate information from the app and other members of the community that will be used to help in the matching process. Apart from background data collected from social networks and through Civic, each user will generate information from their activities on the app and from other members of the community. This multi-party data entry is important to the matching processes, and therefore, it is important that an auditable trail on the blockchain helps ensure that users are portrayed accurately and that conflicts are resolved easily. By no accident, the Ponder ERC-20 token sale starts on Valentine’s Day (February 14, 2018) and will run through April 20, 2018. The bigger objective of Ponder to find a way to monetize social capital and improve human connections at every level is quite interesting, and the use of blockchain to store that information will keep it visible in a single location, thus improving the efficacy.